You can fill out expungement forms on your own if you have the right records in hand. Provide details of your offense, show that you are eligible for expungement, and attach supporting documents to the petition or motion, then file it with the court clerk in the county where you were convicted. Certain documents require notarization or certification to authenticate them. Expungement requirements vary by state and also by jurisdiction or county. Visit the website for the court in which you were convicted to obtain the exact expungement forms you need. Many of these government websites include do-it-yourself resources, like petitions that you can download, print and fill out by hand. Sometimes they provide the forms in a PDF file format that you can type in directly and complete online. State and court websites generally provide instructional handbooks to guide you in completing the petition or motion for expungement. The petitions and forms also include instructions to help you complete sections that may not be as straightforward. For example, you may see instructions in a petition that require information about law enforcement agencies involved in your conviction. If there are more agencies than can fit on the form, it will instruct you to complete a specific attachment form. You must include addresses for yourself and sometimes the agencies that were involved in your conviction. 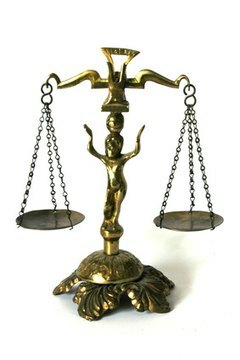 Dates, case numbers, offense descriptions, disposition of the case or sentence are also needed. To ensure you fill the forms out accurately, locate your criminal records through the court where you were convicted, the law enforcement agency involved or the prosecuting attorney. You may need multiple copies of these records to file with the expungement forms, and they may need to be certified by the entity that provides them. A certification is a separate document or a stamp on the form that authenticates an original document. In addition to the petition or motion for expungement, you may also need to attach separate forms, such as an order for judgment that government officials will complete. For example, in California, the expungement form is a Petition for Dismissal. You must file it along with an Order for Dismissal and a Proof of Service form to confirm its delivery. In North Carolina, the petition and the order are on the same form, the Petition and Order of Expunction. You might be required to provide affidavits, which are notarized statements from yourself and others that discuss your good moral character and your clean record since your conviction. The affidavit could also state that you meet all of the statutory requirements for an expungement. C., Karina. "How to Fill Out Expungement Forms." , https://legalbeagle.com/6121600-fill-out-expungement-forms.html. 15 March 2019.